Former St. Charles state legislator Carl Bearden is co-chairman of GOP presidential contender Ted Cruz’s Missouri campaign. As of Saturday, Bearden also is a delegate to the Republican presidential convention — for Donald Trump. Bearden is among a number of Cruz supporters who were elected Saturday to fill the bulk of Trump’s 15 delegate slots at stake at Republican congressional district conventions around the state. Another nine delegate slots were designated for Cruz. Trump won Missouri’s March 15 Republican presidential primary and, officially, will have 37 committed Missouri delegates at the national convention. Cruz will have 15 committed delegates. 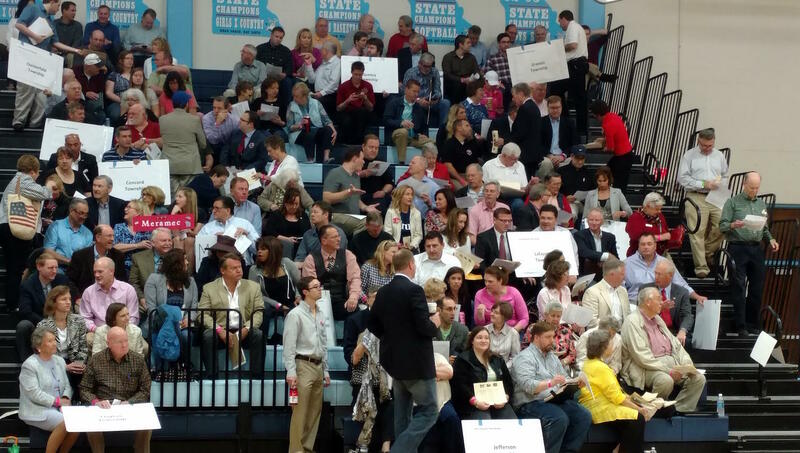 Republicans at 2nd District convention at Parkway West High School gather to elect presidential delegates. But those delegates, including Bearden, will be committed to their designated presidential candidate only on the first ballot. 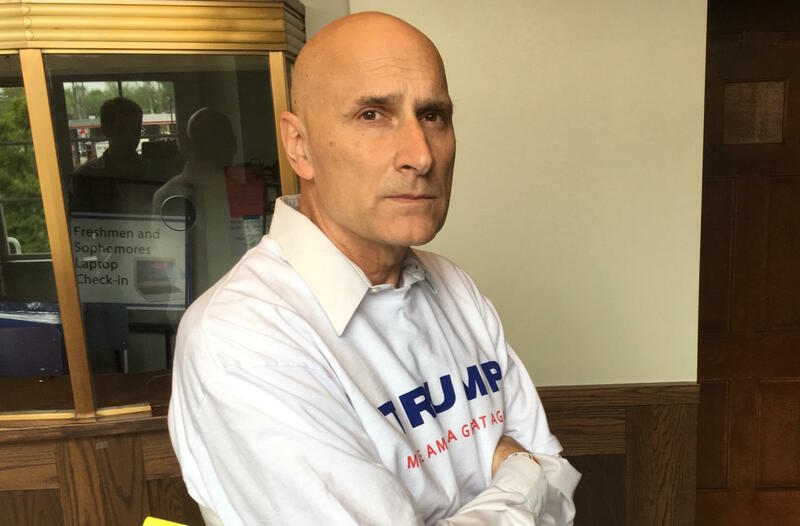 Many local Trump activists also expect their man to get outmaneuvered when the final delegate slots are filled at the party’s state convention, set for May 21 in Branson. 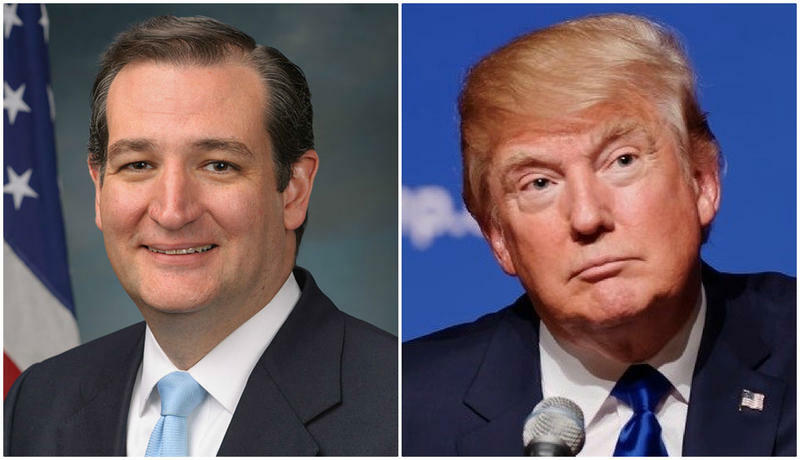 As it stands, the Cruz camp expects most of Trump’s Missouri delegates to switch to Cruz should Trump fail to capture the needed 1,237 votes on the first ballot. Bearden said Saturday that reports he obtained from other congressional-district conventions indicate that the Cruz forces controlled the delegate-selection process at six of the eight convention sites, even though Trump — based on the primary results — should have had his allies elected as delegates in all but two of the congressional districts. Many of Trump’s St. Louis-area supporters are furious. At Saturday’s 2nd District convention, held at Parkway West High School, in Ballwin, Trump supporters fought for more than two hours with the Cruz forces and the convention’s leaders. 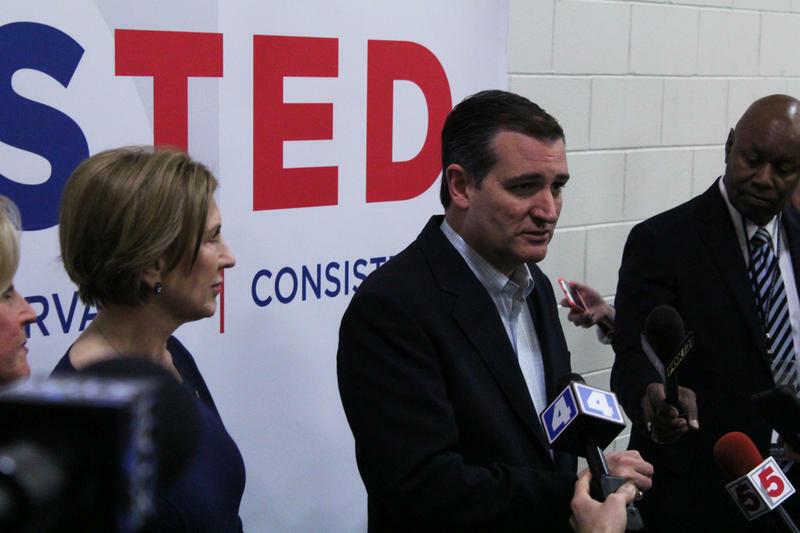 At issue was the fact that several slates of Trump caucus delegates, who would then have cast votes for the presidential delegates, had been disqualified or ousted in favor of Cruz caucus delegates. The Cruz-allied delegates then voted for the pro-Cruz presidential delegates making up the "Constitutional Conservatives'' slate. St. Louis County Councilman Mark Harder, who chaired the 2nd District convention, said everything was handled fair and square. Harder is a Cruz supporter. Like Bearden, he also was elected to be a presidential delegate committed to Trump. The 2nd District's third delegate slot went to Madeleine Castle, also described as a Cruz supporter. Harder's joke about the "tools'' needed for a convention chairman touched off a Twitter frenzy because one of the items appeared to be a gun. Harder said later it was a replica, and not real. 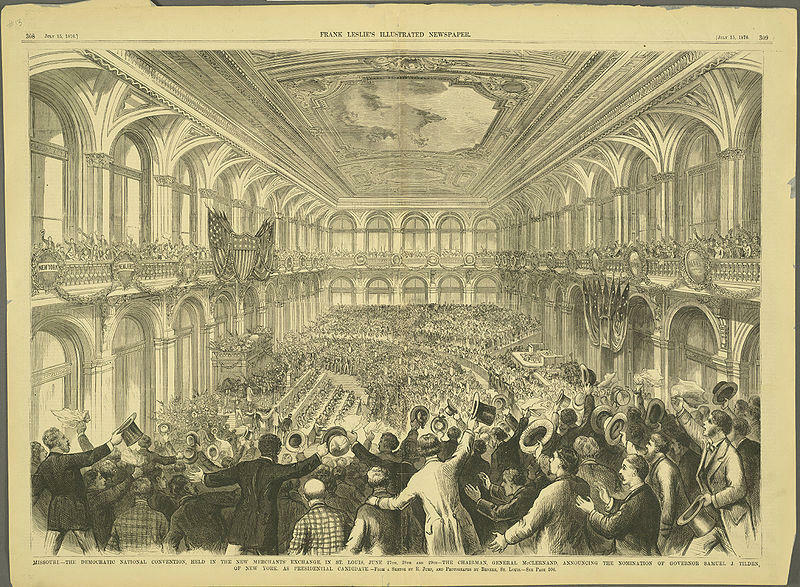 Harder also touched off a Twitter frenzy when, as a joke early in the convention, he held up a bunch of items that he said were necessary for him to keep order as chairman. 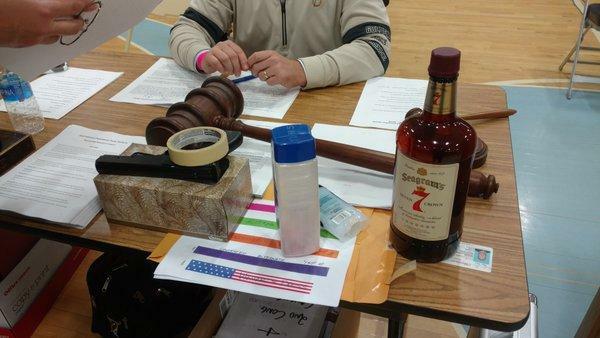 The items included a bottle of Tums, a box of Kleenex, a bottle of whiskey, masking tape — and a gun. Although Harder quipped to the crowd that the gun may or may not be loaded, he later said it had been a replica and not real. U.S. Sen. Claire McCaskill, D-Mo., circulated on Twitter a photo of the items, taken by this reporter. McCaskill contended that the episode was “weird’’ and criticized Harder’s actions. While Trump allies were outflanked in most parts of the state, they emerged victorious over Cruz supporters in the 1st Congressional District Caucus. In the theater of the Maplewood-Richmond Heights High School, delegates selected Gary Wiegert, Robin Hamlin and Rick Perry to go to Cleveland. All of them verbally pledged to back Trump all the way through — even if he doesn’t get enough delegates on the first ballot. Cruz allies unsuccessfully attempted to knock out a rule requiring delegates to declare for whom they would vote on the second or subsequent ballots. When their effort failed, it was a telltale sign that backers of Trump would emerge victorious over Cruz supporters. Presidential hopeful Ted Cruz held a rally at Parkway West High School one day after protests interrupted Donald Trump yesterday in St. Louis and caused the New York businessman to cancel a gathering in Chicago. Before taking the stage Cruz blamed most of that disruption on forces outside the Republican Party.